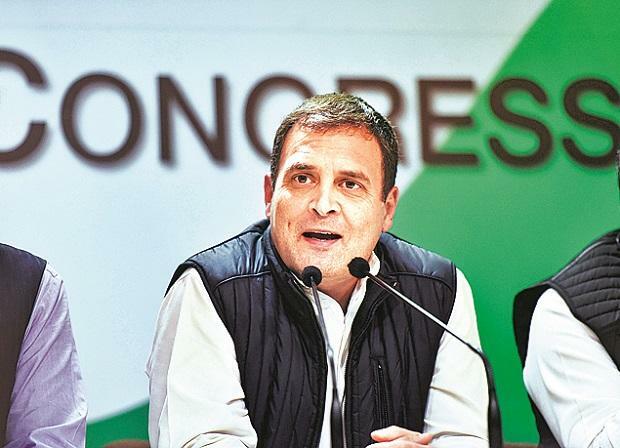 Congress President Rahul Gandhi on Saturday said the Modi government was forced to bring down the GST rates after electoral verdict in three Hindi heartland states and insisted that the people have already made up their mind to defeat BJP in 2019. Gandhi, who has been taunting Modi government over its "faulty implementation" of Goods and Services Tax (GST) by terming it as 'Gabbar Singh Tax' said that the government now was belatedly trying to simplify it. "Modiji broke the back of small and medium businessmen through Gabbar Singh Tax. He snatched jobs of lakhs of people but his heart did not melt and he did not bring about any change," Gandhi said in a Facebook post in Hindi. "Now feeling scared after people's verdict in the three states, Modiji is trying to make the Gabbar Singh Tax as GST. People understand it all. Gabbar you are gone," he added. Gandhi also attached a video of his election campaign during the Gujarat Assembly polls last year in which he had made the GST's "flawed implementation" a key issue.